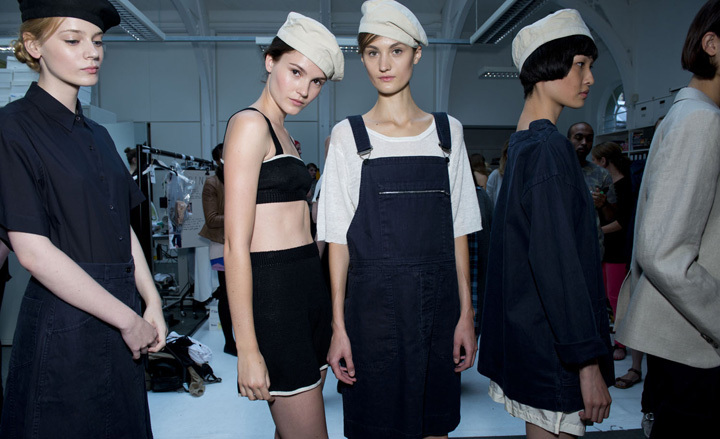 This 2013, Denim overall will be the must have or your next item in the wardrobe. For ages, overall is appearing as workman protective garment, e.g. construction workers. After turns of fashion cycle, the overall has up come to catwalk as new timeless style in every show. the easy matching formula will gonna be the dress code for weekdays or weekend. Like all denim item, overall or short all are easy matching! Just get the right fit for your style and match with all other stuff in your wardrobe, lace top, sweater, colorful cardigan or just a white t-shirt, you will know the magical spell!